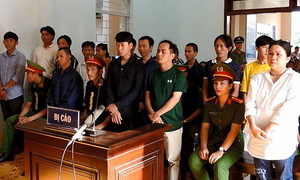 Police in Binh Thuan Province announced that they have detained 102 people pending investigation into Sunday’s vandalism at the local government office. "There were no casualties. 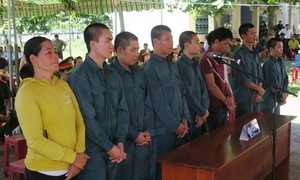 But dozens of police officers were injured," police spokesman Nguyen Van Nhieu said. 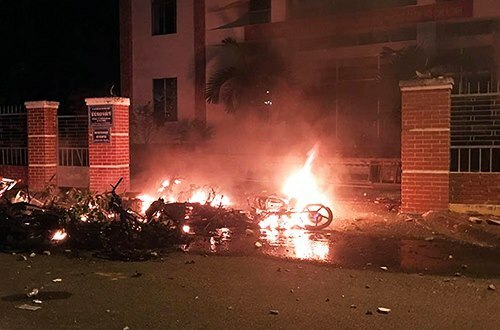 Hundreds of protestors had stormed the office of the People’s Committee in Binh Thuan on Sunday, burnt vehicles, destroyed other property and clashed with the police, authorities said. The situation was resolved near midnight with help from forces from the Ministry of Public Security, Nhieu said. The vandalizing of the office took place at around 8 p.m., and authorities could only watch helplessly. Earlier that night, authorities used smoke bombs and firefighting hoses to diffuse the protest after local officials could not convince the crowd to disperse, but such tactics also proved ineffective. 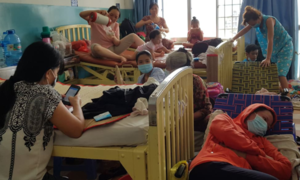 Nguyen Trung Truc, vice chairman of the People’s Committee of Tuy Phong District, said that traffic patrols had to direct vehicles to take detours because Highway 1A had been immobilized from the afternoon. Some of the protestors threw rocks at public vehicles. 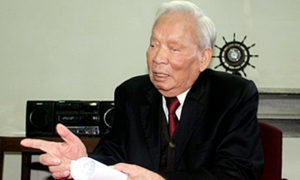 Secretary of the Binh Thuan Party Committee, Nguyen Manh Hung, said that the State does not ban people from expressing their opinions, but the process should be within an allowed framework and should not violate any law. "It is unacceptable that people engage in aggressive behavior. 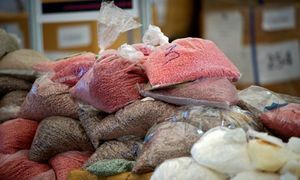 We must strictly handle these actions under the law,” Hung said. Last weekend saw huge crowds of protesters gather across the nation, in Ho Chi Minh City, Da Nang, Hanoi and other places. The police in HCMC and the neighboring Binh Duong Province arrested several people for leading the “illegal” protests, media reports said. There has been general disagreement over a proposed provision in the draft law on Special Economic Zones (SEZs) that would allow foreign investors to lease land for 99 years. 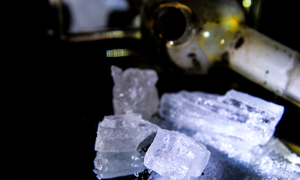 The proposal has since been deferred, as voted by the National Assembly on Monday. On June 6, Minister of Planning and Investment Nguyen Chi Dung had dismissed concerns about other countries, especially China, being able to undermine national sovereignty. He said: “there is no word that mentions China." “Foreigners will not be able to migrate easily into the country. 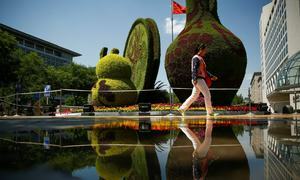 Vietnam’s land ownership law is tight enough to prevent them from doing so,” he’d said. 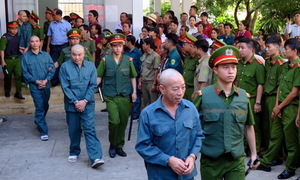 Prime Minister Nguyen Xuan Phuc had also told the press on June 7 that the duration of land lease permit was not “the bottom line” of the draft law. The most important thing is to create a favorable mechanism and business environment for investors at the SEZs, he said. “The government will respect the National Assembly’s decision on this matter, whatever that is,” the PM added. The SEZ bill, which was initially planned to be passed next week, is scheduled to be discussed again at the National Assembly’s next session in October.